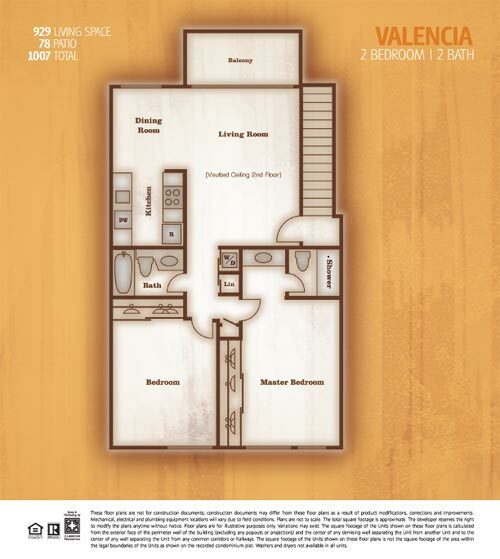 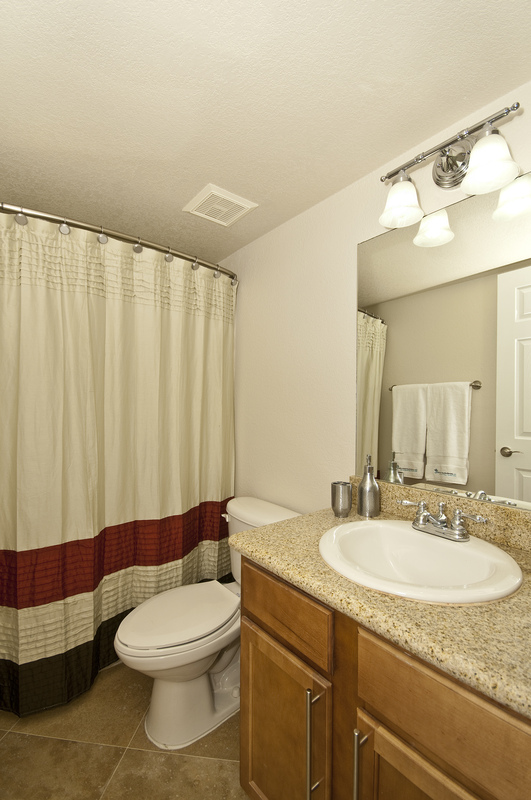 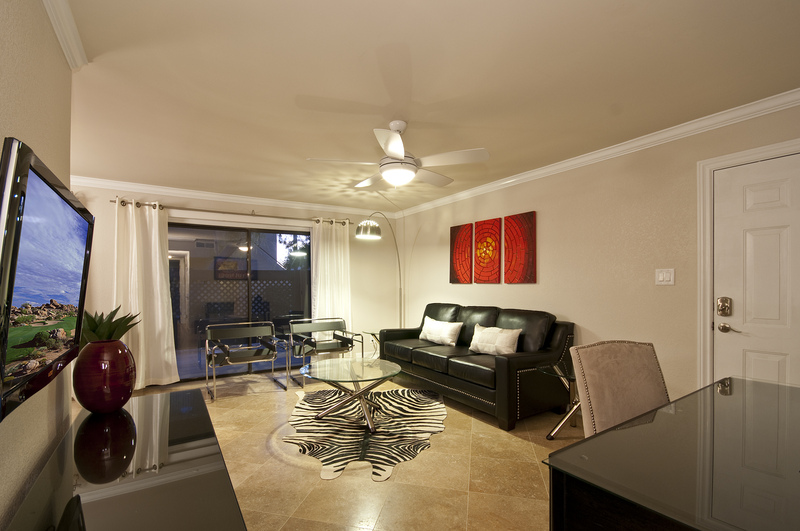 This two (2) bedroom two (2) bathroom residence was newly renovated 2011 and offers a uniquely designed décor that is reminiscent of trendy boutique hotels. 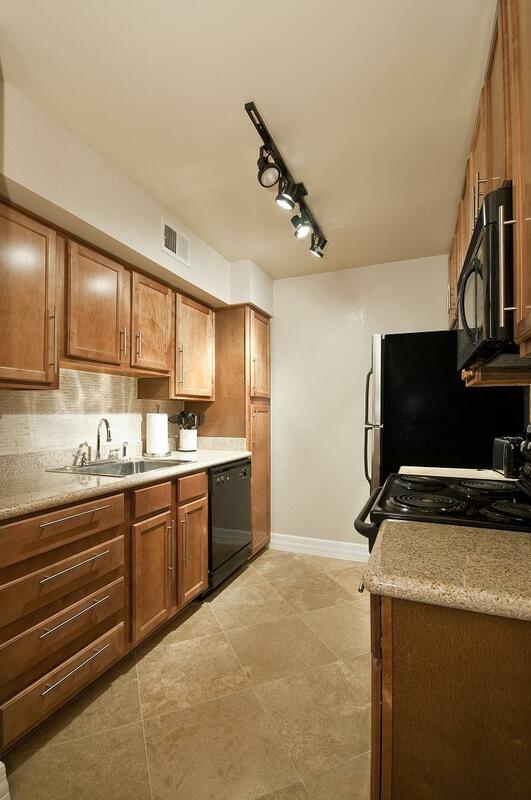 This wonderful condo features three (3) plasma screen TVs, granite counter tops, washer/dryer, travertine stone tile floors, and Berber carpets. 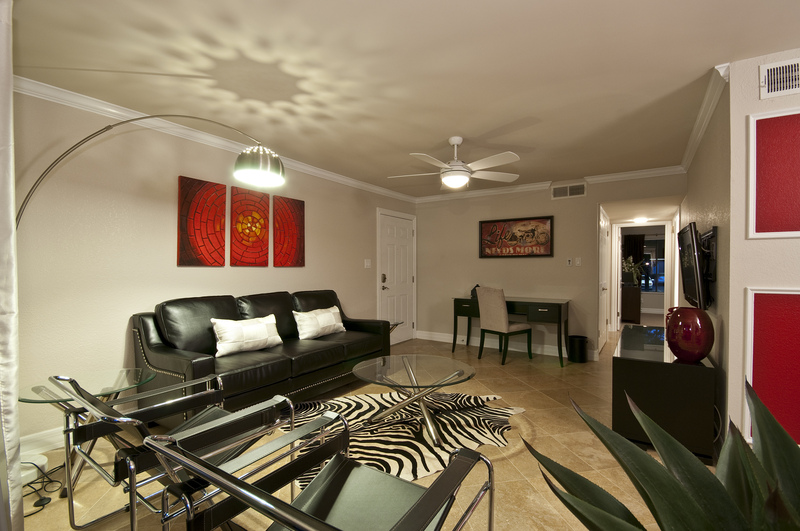 The main living area has a 42" plasma TV, stylish leather furniture and work desk to set up your laptop (secure wireless internet provided). 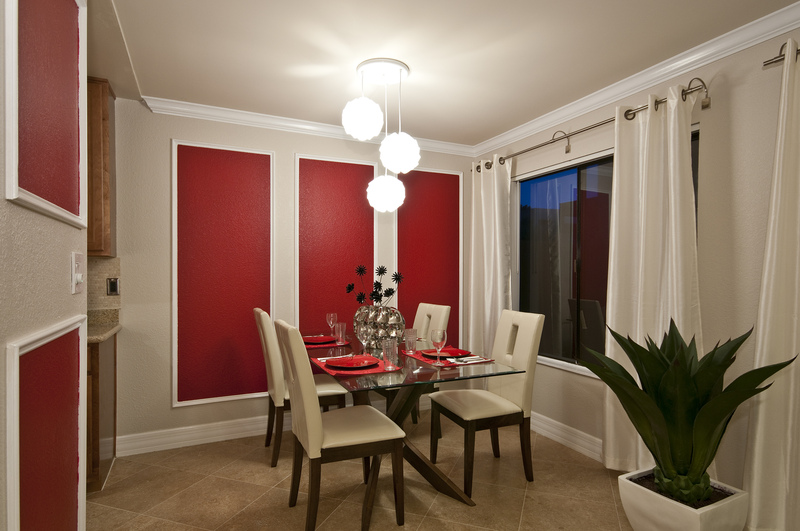 The dining room presents beautifully with modern glass table with comfortable seating for four (4). 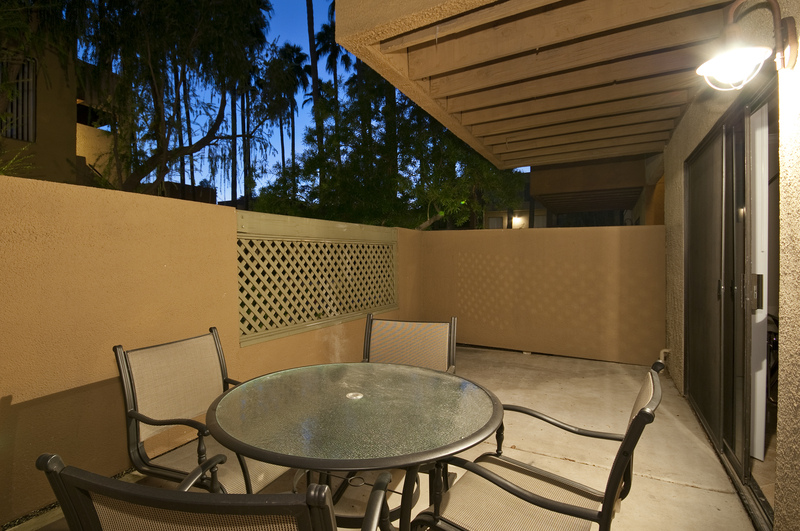 The spacious patio boasts a table for four (4) for alfresco dinning. 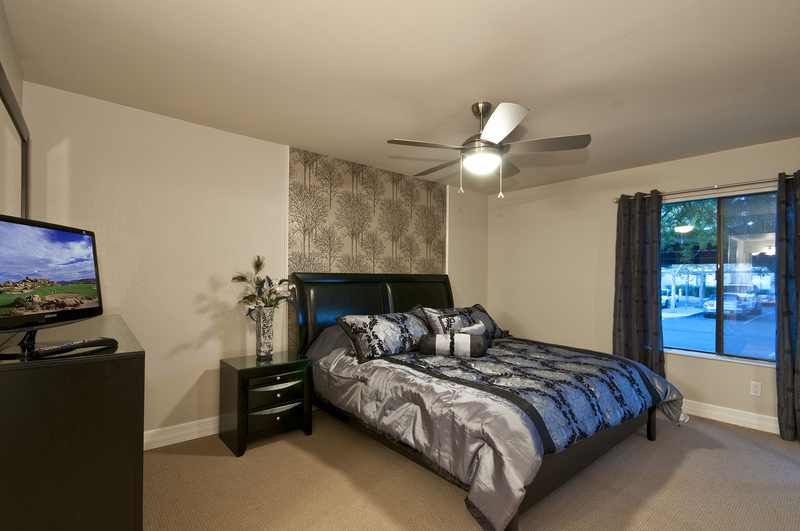 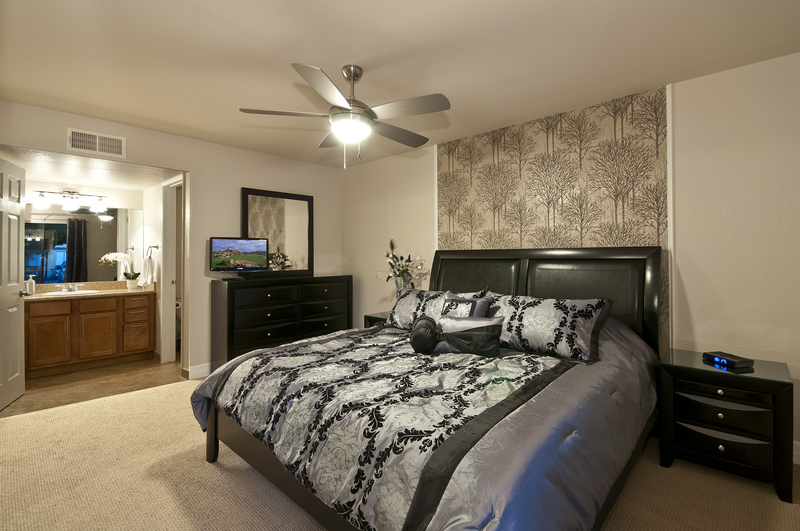 The master bedroom has a king size bed, bedside tables with lamps, en suite bathroom and dresser. 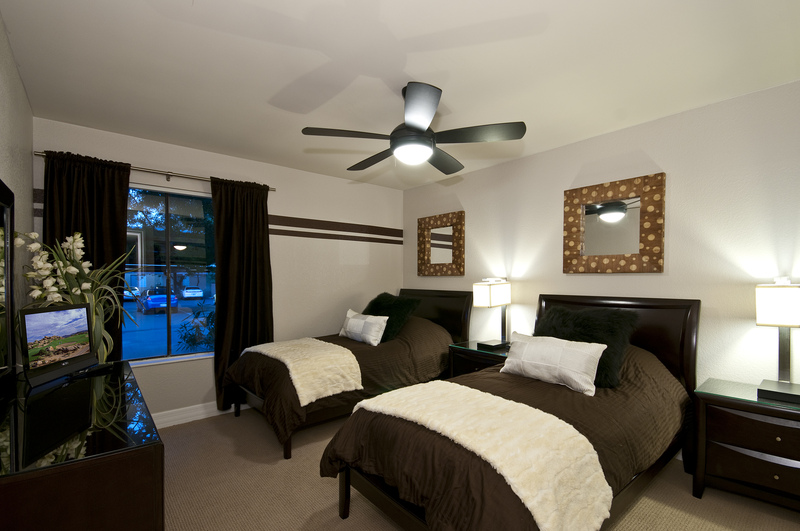 The 2nd bedroom has two twin beds, and bedside table with lamp. 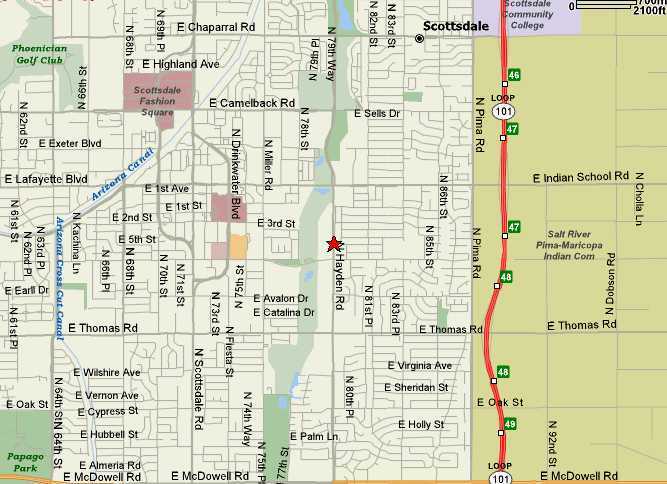 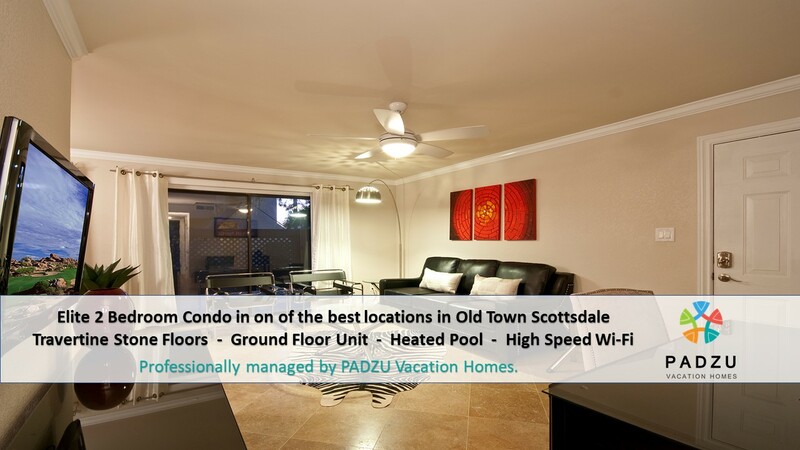 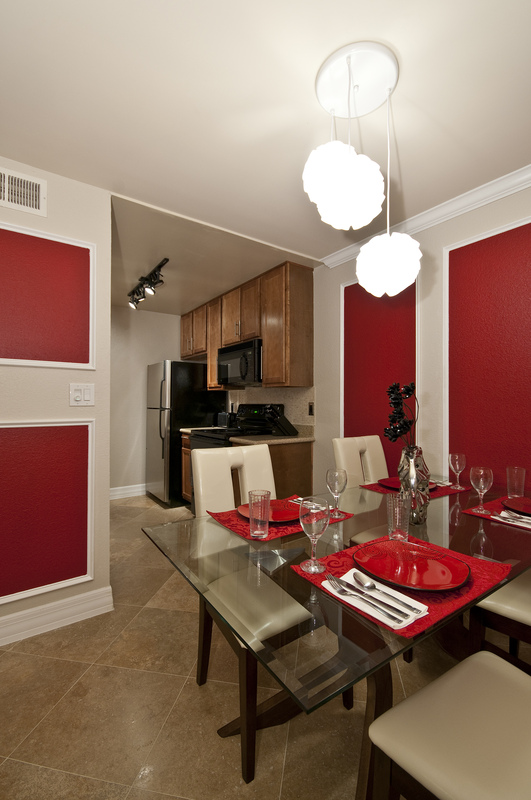 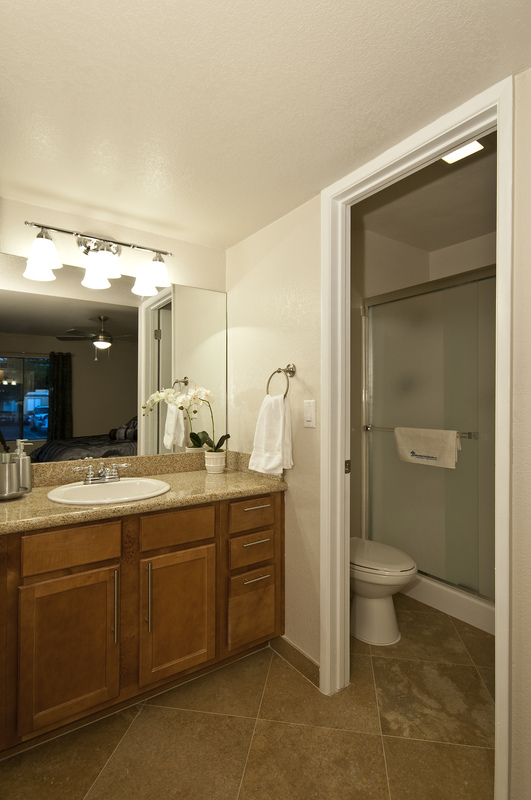 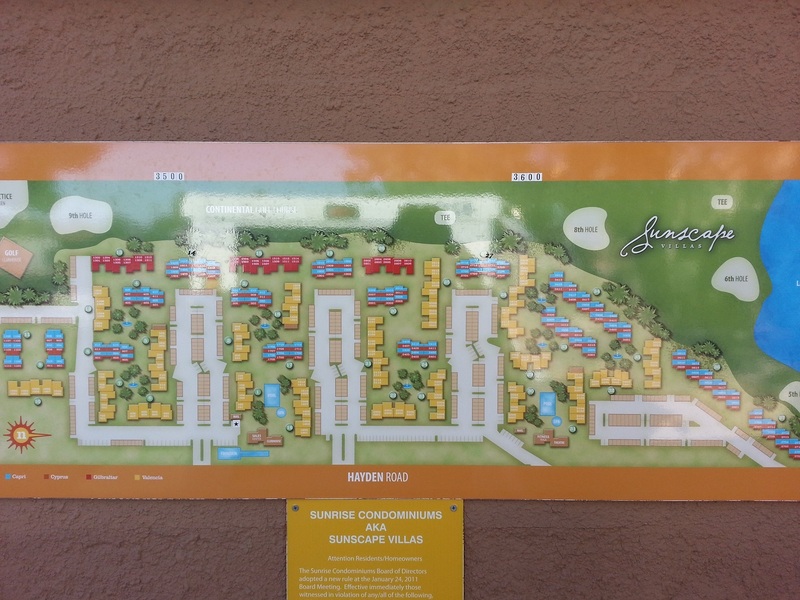 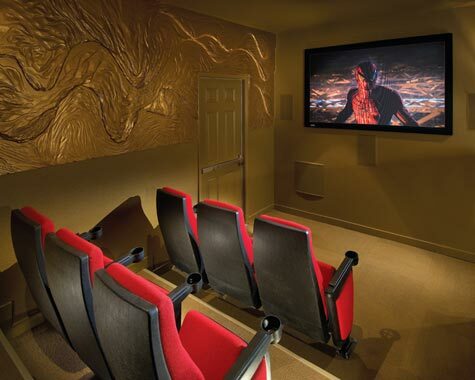 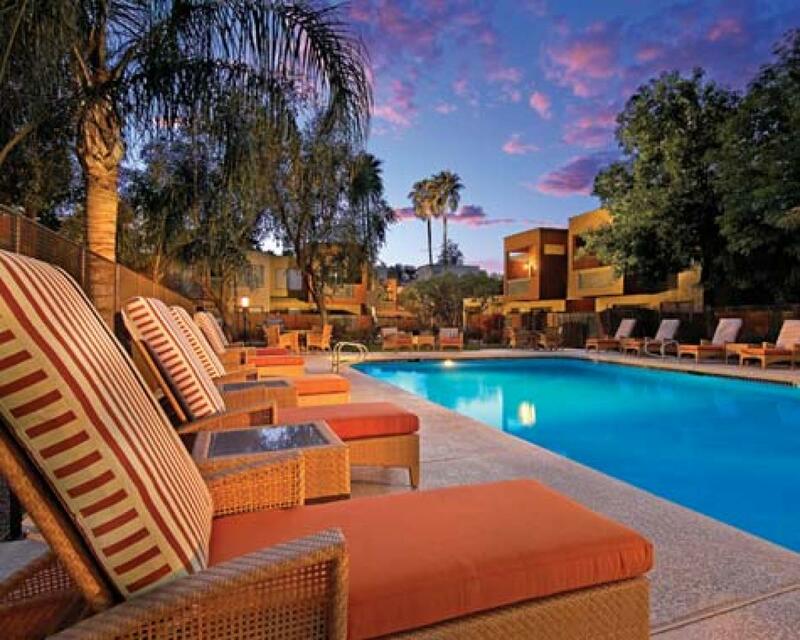 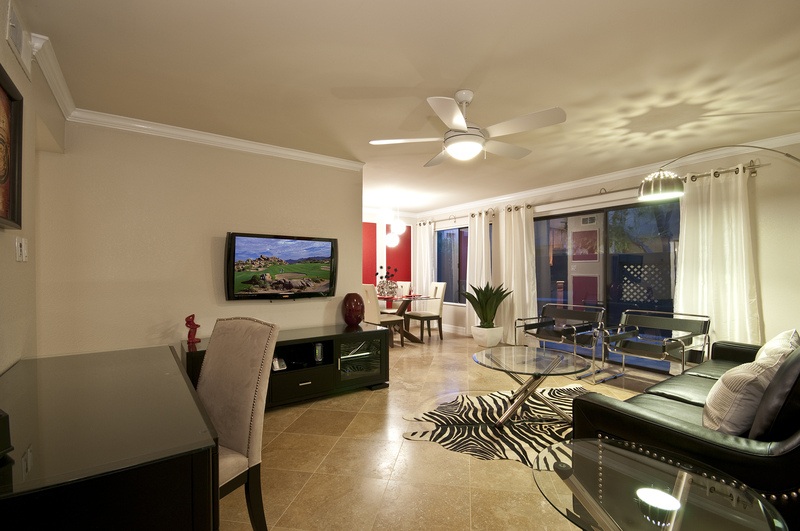 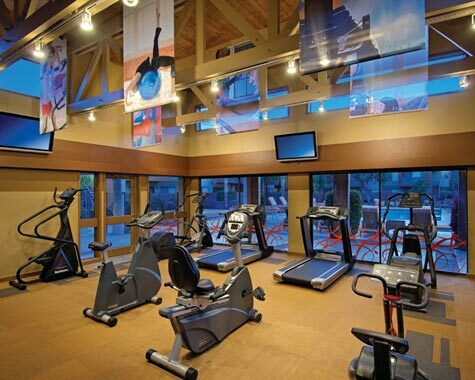 Call us today to book this unit for your next trip to Scottsdale!